Bump Rail is a high strength aluminium extrusion that weighs less than half the equivalent steel profile per lineal metre. 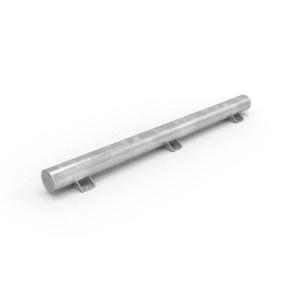 Designed with a dual personality, Bump Rail can be used as an asset protection railing when used flat side toward the impact. 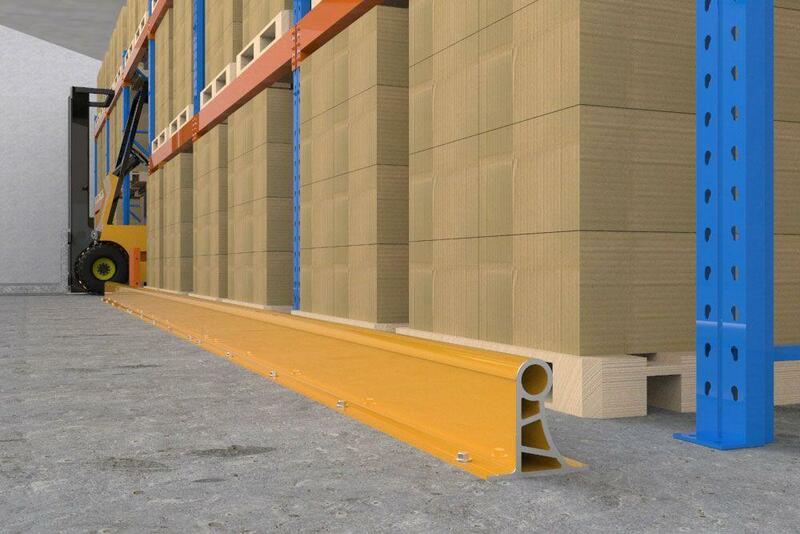 In this instance the flat face offers maximum resistance to wayward forklifts absorbing any impact across the entire reinforced face. 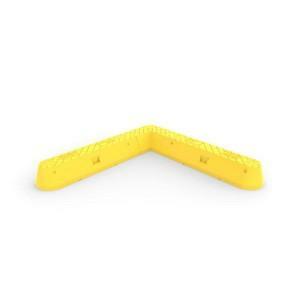 Alternatively, when faced with the curved side to an impact Bump Rail is designed for use as a truck or machinery wheel stop, the rounded top and curved face offering a higher contact point for the vehicle wheels. At 2400mm long it is the right width for most trucks. Fixing points at either end have been strategically positioned at the point of impact 275mm apart to ensure maximum hold-down. Extremely strong 8mm thick latticed construction. 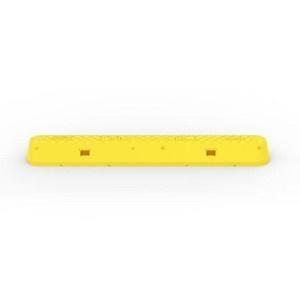 Supplied pre-drilled and powder coated safety yellow. 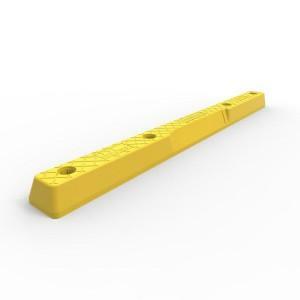 Extendable to any length using 42mm diameter slip joiners. Standard 2400mm length suits most trucks. Standard 2400mm lengths weigh 31 kgs. End fixing points strategically positioned for greater hold-down.